Shippers can be quite the dedicated bunch, and sometimes they really don’t like when someone gets in the way of their favourite pairing. 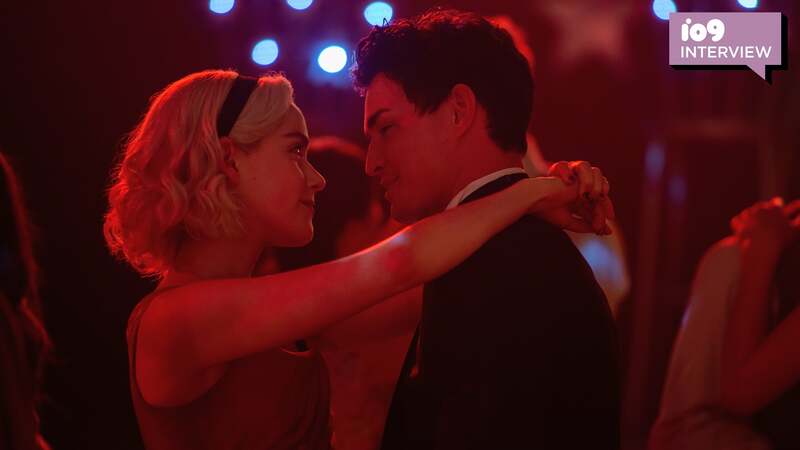 When Netflix’s Chilling Adventures of Sabrina broke up Sabrina Spellman (Kiernan Shipka) and Harvey Kinkle (Ross Lynch) in the middle of the first season, Gavin Leatherwood prepared for the worst. After all, he was next in line. io9 visited the set of Chilling Adventures of Sabrina last year as the show was filming Part 2, which started streaming on Netflix last Friday (check out our thoughts on that here). The scene they were working on was from the high school Valentine’s Day prom in episode three, which came with two major surprises (at the time of the set visit, we had only seen the first five episodes of the series). First, Harvey was now dating Rosalind Walker, instead of Sabrina Spellman. Second, Sabrina herself had a new man on her arm: Nicholas Scratch, the bad boy from the Academy of Unseen Arts.